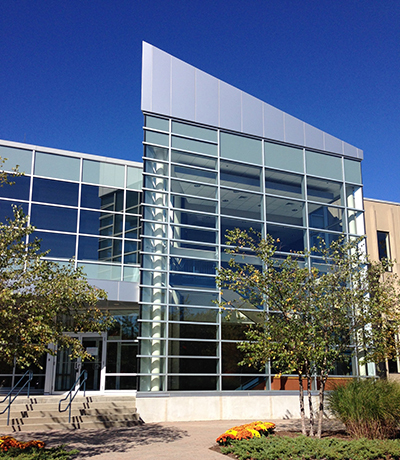 Wise Construction has recently completed Moderna Therapeutics’ 200,000 square foot state-of-the-art GMP clinical manufacturing facility at 100 Upland Road in Norwood, Massachusetts. Formerly used as a Polaroid plant, Moderna needed Wise to construct the entire facility to house mRNA clinical manufacturing, plasmid manufacturing, Personalized Vaccine Units (PVU) manufacturing, pre-clinical labs, quality control (QC) labs, development labs, warehouse/logistics and maintenance, and plant utilities, as well as all necessary office, amenity, and administration areas. To accommodate Moderna’s needs, the facility had to be up and running in a construction schedule of just thirty-three weeks – three to four times faster than a typical project of this size and scope. To achieve this, several lean processes were used throughout the project, and planning was of the upmost importance. The entire project team, including the architect TRIA and engineering firm DPS Group, worked closely together to create early release packages to ensure all project milestones were met, and all long-lead items were purchased early on. Before fully mobilizing onsite, extensive existing condition surveys were performed, and all MEP’s were planned early on using a point cloud system. 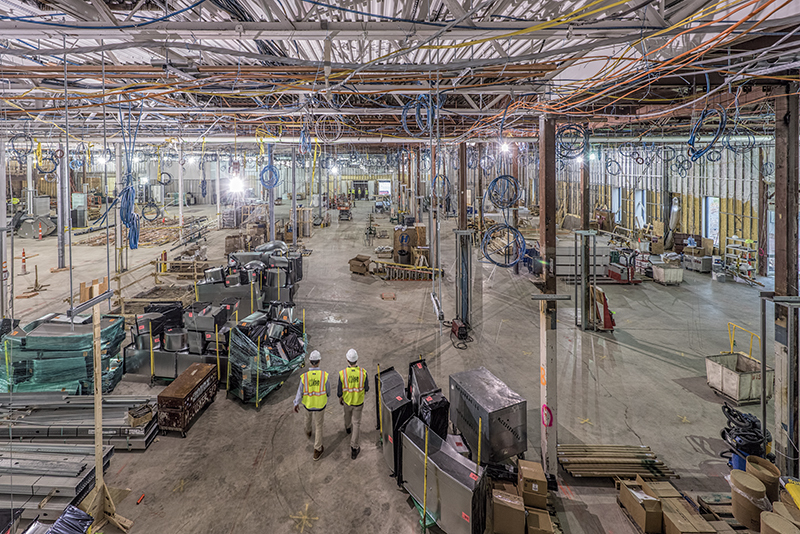 When it came to construction, Wise created a well-scheduled workflow for the project, allowing there to be up to 350 individuals from a range of trades working onsite at the same time. The entire floorplan was broken down into sectors, and each sector was carefully planned to allow multiple subcontractors to work at once. All vendors on the project were required to prefabricate components in their shops, such as ductwork runs, piping racks, electrical devices, shaft risers, and plumbing rough. This approach helped benefit the project by making efficiencies with labor, less waste, better quality control, and faster installation time. The project team included HEREVA Consultants, TRIA, and DPS Group.